The 8.9-mile "Franconia loop" in New Hampshire's White Mountains follows the exposed ridge from Little Haystack Mountain to Lincoln, in the distance. Many get in trouble on this loop. Photo by Jerry and Marcy Monkman. On July 12, 2014, New Hampshire Fish & Game received a late morning call about a hiker, Andrew K., age 53, who had fallen a mile and a quarter up Falling Waters Trail and sustained injuries that kept him from walking. By 12:30 p.m., rescuers from NHFG, the U.S. Forest Service, and Pemigewasset Valley Search and Rescue had reached the scene, where a friend and some hikers who had come along were attending Andrew. Rescuers carried him out on a litter. Rescuers back again the same night: In fact, rescuers returned to the Franconia Ridge that night. 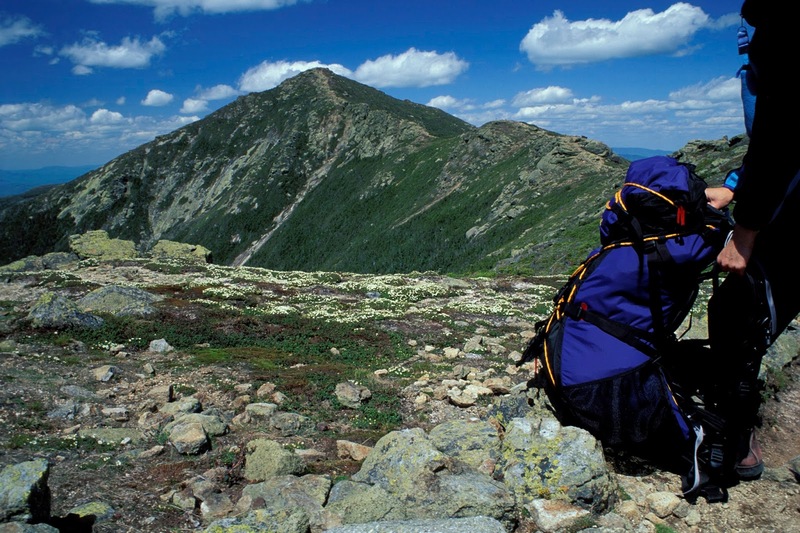 “A little before 9 p.m. on July 12, NHFG got word of a hiker who was “unable to move” not far from the summit of Mount Lafayette. Al D., age 28, and his cousin had set out earlier that day on the same Franconia loop route I mentioned in the previous story. But on the summit of Lafayette, Al and his cousin had missed the turn for Greenleaf Trail. Instead, they had walked more than a mile along Garfield Ridge Trail before sensing their error and turning back up, climbing Lafayette again.” Al was spent. He couldn’t go farther. To read the full story of this and other rescues on the Franconia Loop and elsewhere in the White Mountains, read the full Accidents report, available in the Summer/Fall 2015 Appalachia. July 14 is your last chance to subscribe and receive this issue!